Instant Access to Two Free Self-Hypnosis Videos for FREE! The 7th Path Self-Hypnosis® is an exciting development in the field of Mind-Body-Spirit personal development. It is changing lives all across the USA and around the world by combining the powers of self-hypnosis and your own highest belief systems. Practitioners of this new self-hypnosis system will benefit in many ways because it is a holistic approach. This means that as you work on a particular issue such as improving motivation, concentration, breaking a bad habit, or whatever, the positive effects of using this system will affect many other areas of your life. It is truly a mind-body-spirit and emotional energy approach to self-improvement. 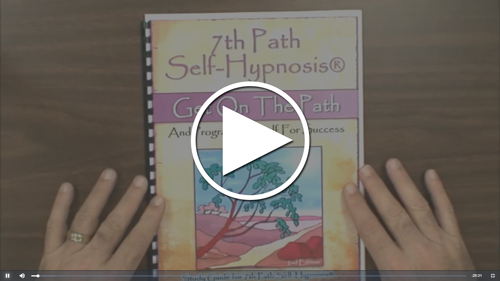 NEW, free 7th Path Self Hypnosis® lesson on video you can watch now. 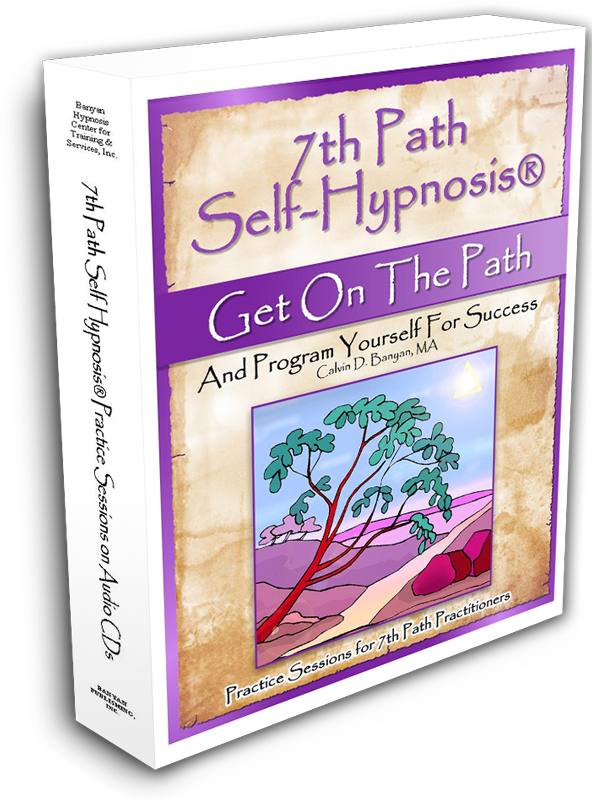 Buy 7th Path Self-Hypnosis® Now! Call 469-969-2176 or 800-965-3390 or Click below to place an order. 7th Path Self-Hypnosis® is a mind-body-spirit approach to self-improvement and is the perfect supplement to hypnotherapy, or can be learned in a classroom setting. One does not have to be “spiritual” or “religious” to use it. 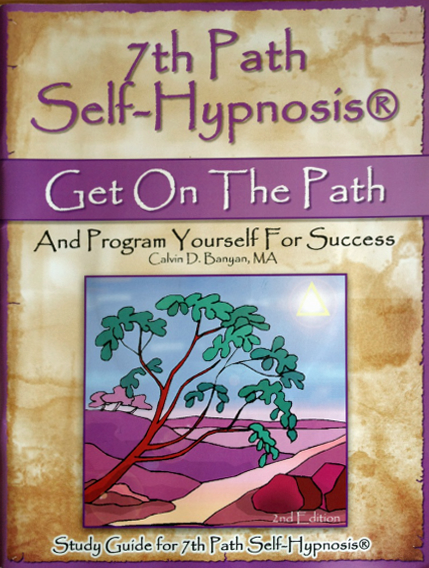 Where Did 7th Path Self-Hypnosis® Come From? American Hypnotherapist, Calvin Banyan, MA, a Board Certified Hypnotherapist, who has a Masters in Psychology, has spent years studying “talk-therapy,” hypnotherapy, self-hypnosis, prayer and meditation. After extensive experience and a great deal of inspiration, he developed a well known form of hypnotherapy called 5-PATH® which is one of the fastest growing forms of hypnotherapy in the world. Mr. Banyan did not stop there. He thought that his highly respected and very successful 5-PATH® hypnotherapy system as just the beginning of a major system of hypnosis and hypnotherapy, that he felt needed a self-hypnosis component. This is when he began his own journey of discovery as each part of the 7th Path Self-Hypnosis® was revealed. Each part of the process hypnotic suggestions called, “Recognitions” were first discovered and then used by his personal clients. The power of these Recognitions were astonishing and he was inspired to teach other hypnotherapists around the world, who have in turn taught thousands of people who have now used 7th Path Self-Hypnosis to change their lives for the better. Because 7th Path Self-Hypnosis® is being taught around the world it is important to have resources for both students and teachers that they can easily access. This is why we have set up the following resources. Public and Student Resources Cal Banyan answers your questions about “7th Path Self-Hypnosis® In this area there are videos that have been produced to answer common questions from both students and teachers. This is an easy access area and it does not require any login information. If you have any questions about this site or 7th Path Self-Hypnosis® use this Contact Us link. If you are not yet using 7th Path Self-Hypnosis® we encourage you to learn more.